I love Riesling and Moscato too! I haven’t had a drink in over 2 years! These look awesome by the way. 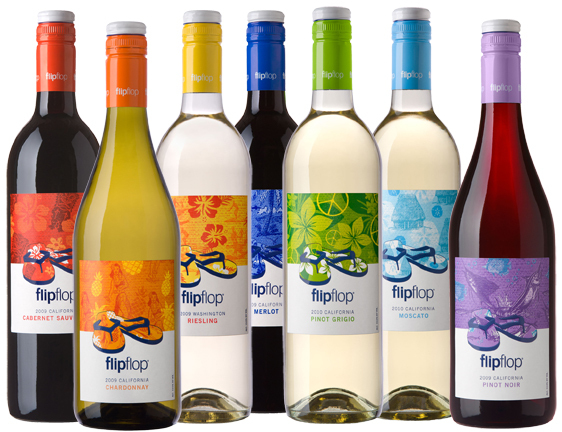 Anything with flip-flop in its name has to be good. I would try the Moscato first! We would be good wine drinking friends; I like light and sweet and white. Ryan likes them super dry and full and red. We do not share many bottles around here! yum! my aunt has tried it and she recommended it as well! i love wine.. I love wine. Any color, any flavor. I’m jealous that you got such an awesome offer!! oooh, I love the bottles. I know I would want this wine because of the picture. IT screams SUMMER. so I would buy the Moscato first and tell John to “share” with me. SO glad you got the opportunity to review this wine , it so fun!!!! I’m jealous you got to review wine?! I’m a red wine fan, but I do drink white from time to time. I’m not a fan of sweet wine – but love me some pinot grisio. MMMMM. Okay, it may be that I just had a baby a month ago, being on Twitter and hearing about wine every day makes me want some, and the fact that they are $7/bottle, I may have ordered 5 different kinds to try. But seriously, Underdog Wine Merchants, free shipping on five bottles of wine?? Yes, PLEASE! And thank you! I am soooo a cover judging person. So I would totally buy this just based on the label. I agree – I think that’s my bloggy dream come true as well! The packaging on the bottles is awesome. I think I’d always leave it out on my counter. I’m actually a huge fan of Michigan wines – favorite vineyards are Chateau Grand Traverse and Shady Lane Cellars. I also like L. Mawby Vineyards but they do all sparkling wines – but their delicious. Their “Detroit” is amazing! 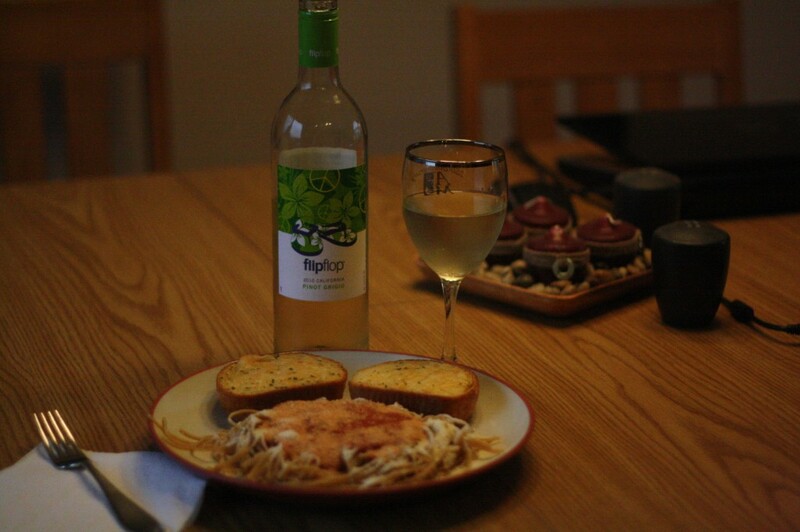 have you had Fenn Valley wine from MI? SOOO yum! their Lakeshores are my faves! Plus I know the owners of the vineyard/winery! Adorable AND socially conscious?!?! What could be better? Dude – Reviewing wine? I am in the wrong business. LOVE. Wha?! Free wine?!! Where do I sign up?! Adorable label! I’m a huge Pinot fan, and will look for that. But they look like they are all about the whites, so I think I’d get some spicy food and open the Riesling! My husband and I have recently started doing the wine thing. So, we are still new (read that: have no idea what we are doing while standing on the wine aisle) and trying different things. I love reisling and moscato and miss them dearly since I am expecting 🙂 BUT one day, they will return to my line up! I saw Flip Flop in the grocery store the other night and thought of you. But they didn’t have a sauv blanc (my fave!) so I didn’t get it. When I’m serving a dessert, I’ll pick up their Reisling and give it a go!